They believe that the food served with good mind and spirituality as ingredients, not only fills the empty stomachs but also the souls. 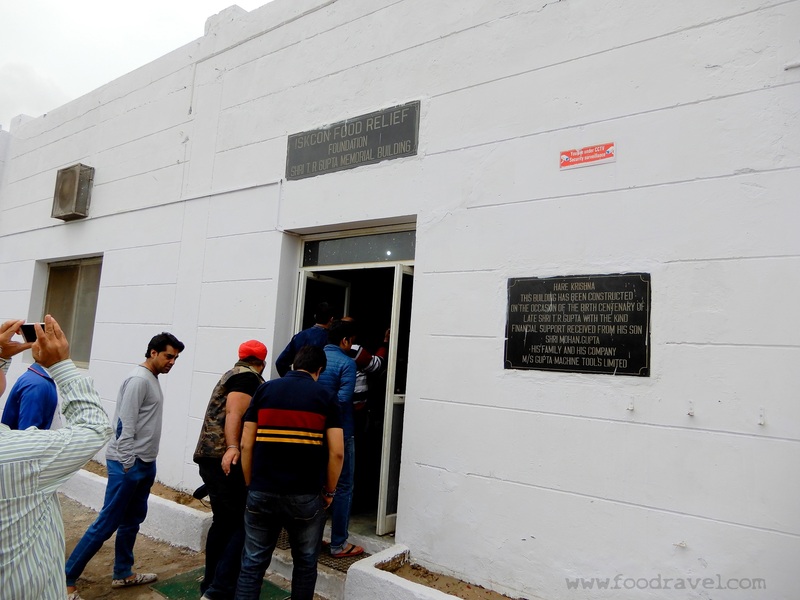 The Mega Kitchen at ISKCON Food Relief Foundation Palwal (IFRF), under the brand name “ANNAMRITA” feeds the students of government school as midday meal. 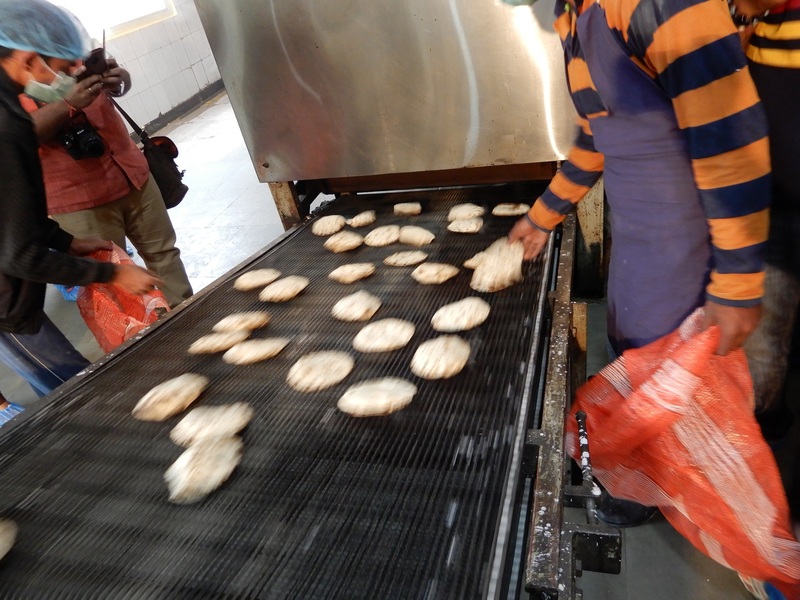 IFRF operates four mega kitchens in Haryana in four districts, Palwal, Gurgaon, Kurukshetra and Faridabad. 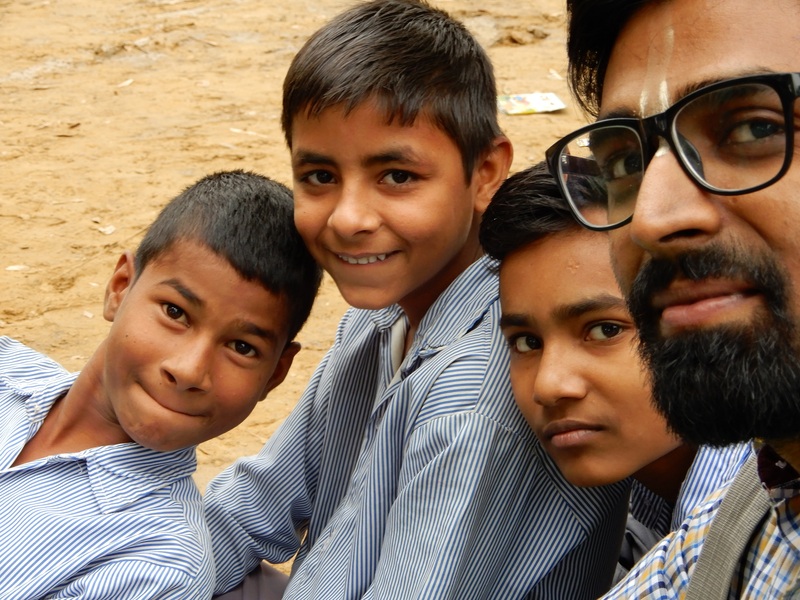 In words of ISKCON spokesperson, Vrinda Bhardwaj, IFRF provides nutritious food to near about 45,000 students covering 435 government schools. 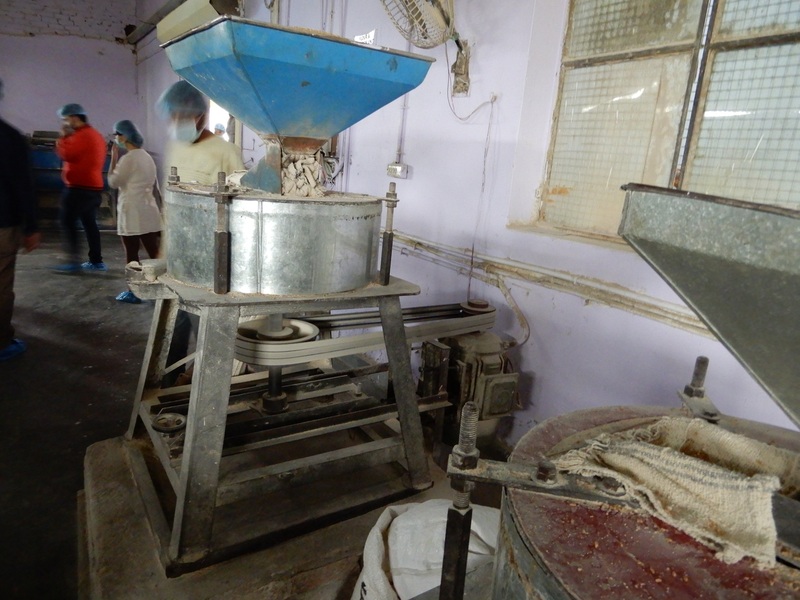 On an average, the food is supplied to 1,400 government schools for around 1.40 lakh students. 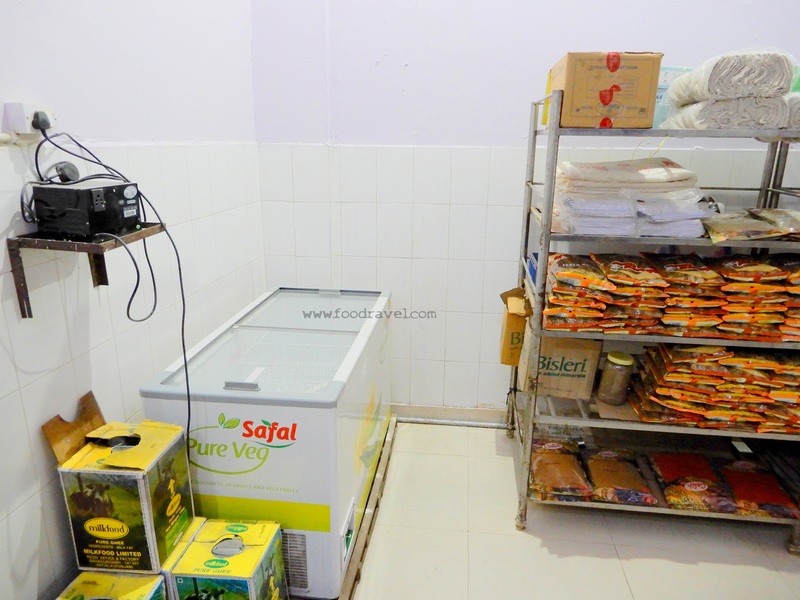 The ANNAMRITA in IFRF mega kitchen provides this service in 7 states of India. These mega kitchens are hi – tech ISO 9001: 2000 certified. One fine day, I received a mail from the spokesperson of the organization and I was invited to IFRF Mega Kitchen on 11/18/2017. Several other food bloggers were also invited for the same. I was given the time and place for pickup. One more food blogger Mr. Tikkoo was also going from the same location so I coordinated with and I reached to his place. The cab driver couldn’t reach on time as he wasn’t able to locate the address thus Mr. Tikkoo took his own car. His family (his wife, one cute daughter and one brilliant son) was also there. We left Rajouri Garden at around 8:40AM and reached ISKCON Food Relief Foundation Palwal at around 11AM. 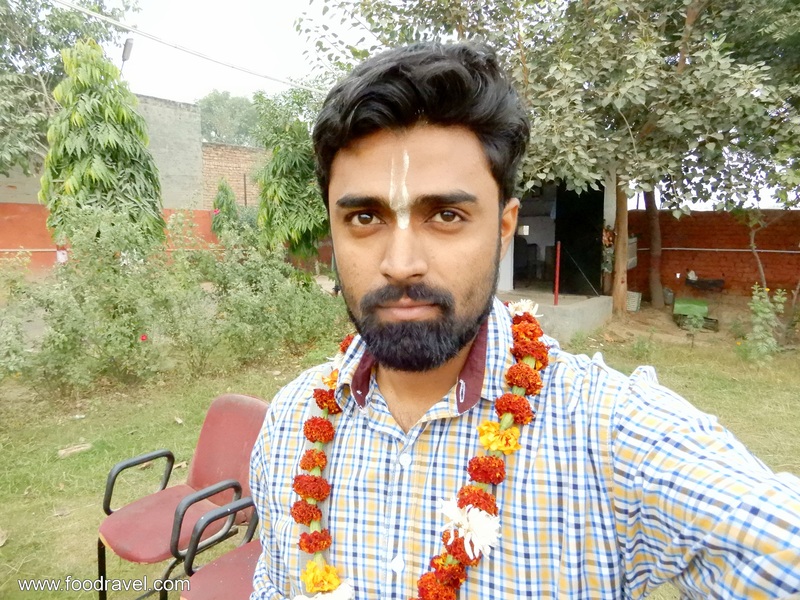 When we reached, we were very first welcomed by the organization people by putting a chandan tilak on forehead and a marigold garland which was truly a warm welcome, I liked it. Within some time, more people reached and we were in good number. At first we were offered prasadam, that’s what they call it. The plate full of poha, kheer and khichadi. I was told that its all steam cooked. The food was delicious. 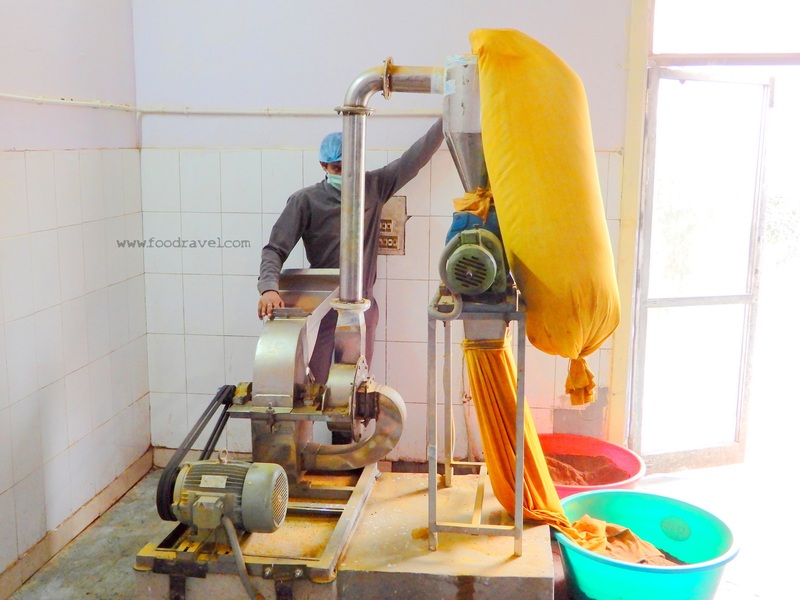 My main motive was to visit the mega kitchen, being a biotechnology student; I am more interested into the food science and food technology, the mega kitchen at ISKCON Food Relief Foundation Palwal. We were asked to have a round of IFRF mega kitchen. 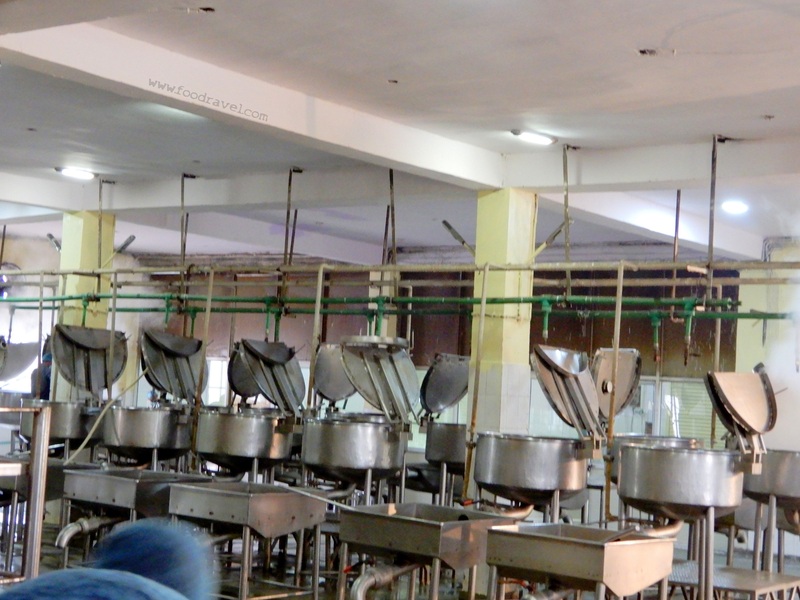 It is very important and mandatory to keep hygiene and sanitation at such a mega kitchen which feeds thousands of students on daily basis. 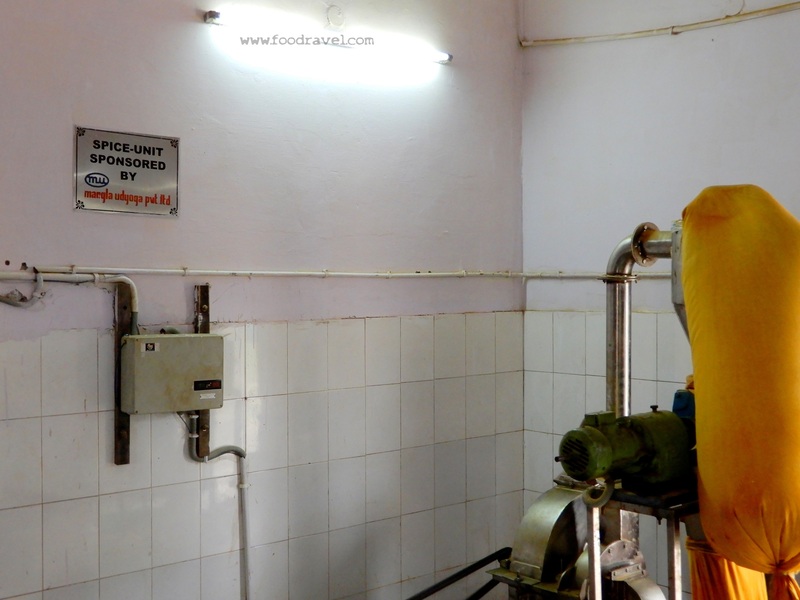 Food hygiene and food safety is a big concern and a challenge as well. Thus, we were given shoe – covers, mask and cap. We were also given hand sanitizer as to avoid microbial contamination inside the kitchen which is always a required step. 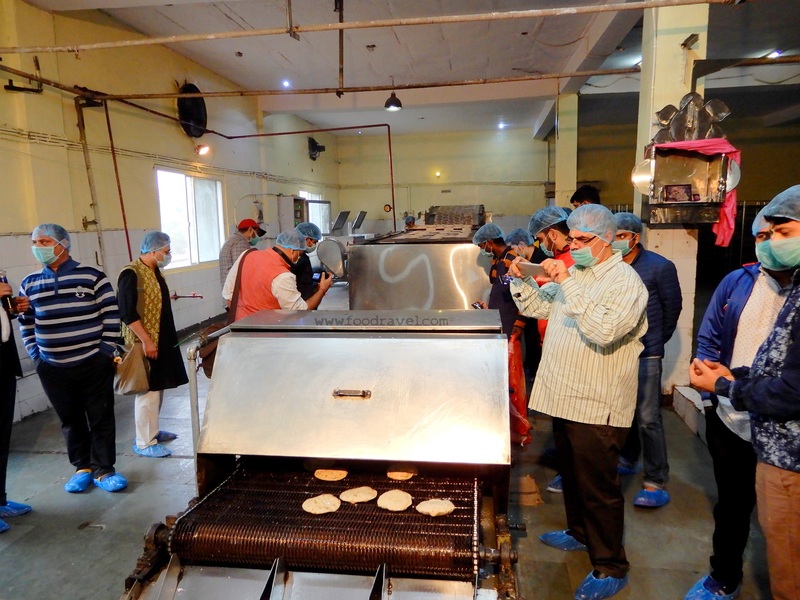 Dhananjaya Krishna Das was leading us inside the kitchen and was explaining the entire process of the food production from packets (raw food) to the plates (cooked food). 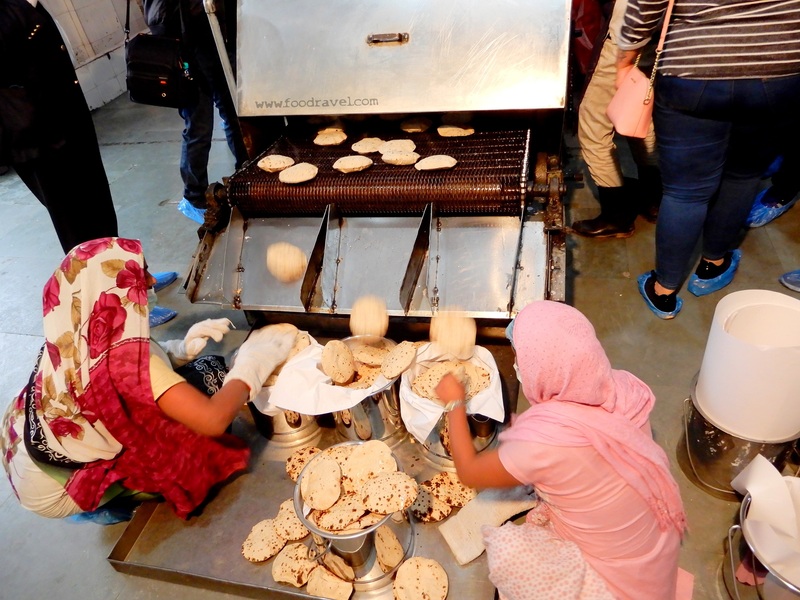 Mr. Krishna Das explained the people each and everything, showed all the tools, machineries and the mechanism which is utilized in cooking the food everyday. 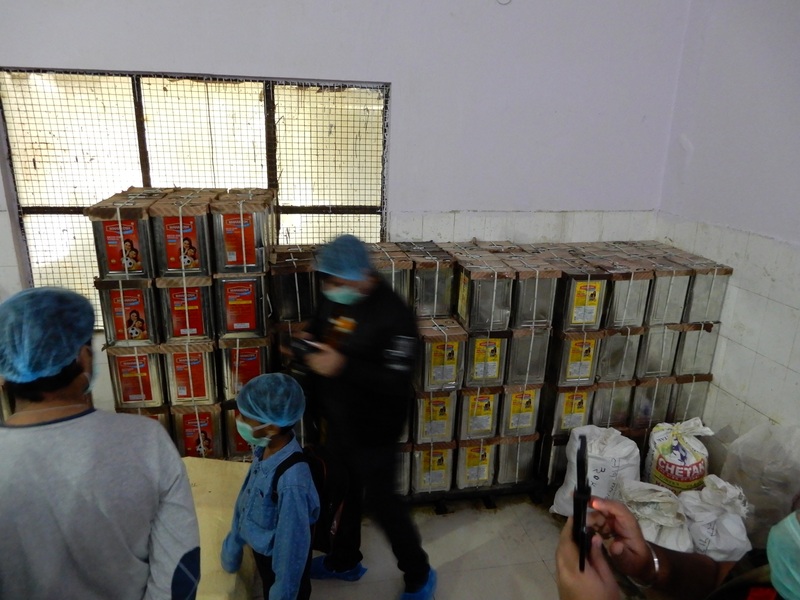 ISKCON Food Relief Foundation Palwal Mega Kitchen receives its food supplies from various vendors such as milk from Mother Diary, vegetables from Safal, spices from Catch though the mega kitchen itself has a spice unit where the spice grinding takes place. The kitchen comes in action at early 5AM in the morning. 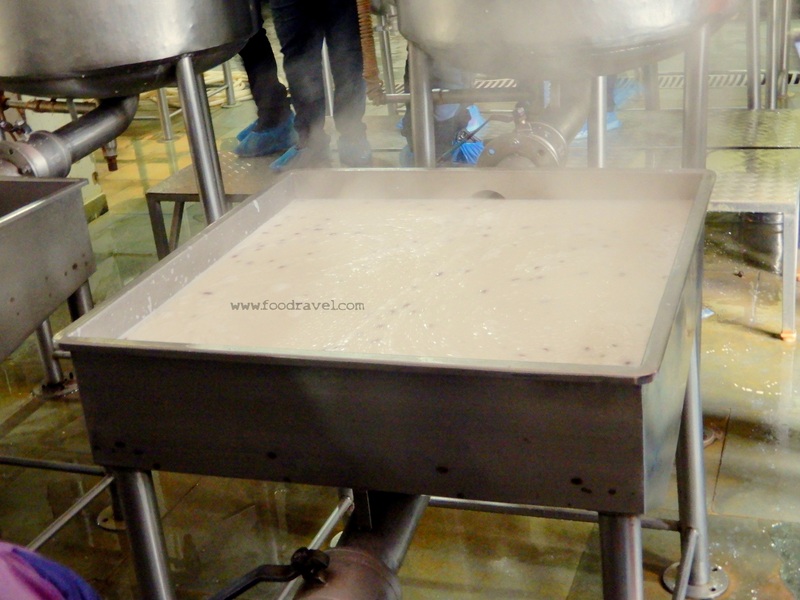 Not to forget that the entire process of cooking is based on steam. Thus, the people start the operation of steam boilers very early in the morning. 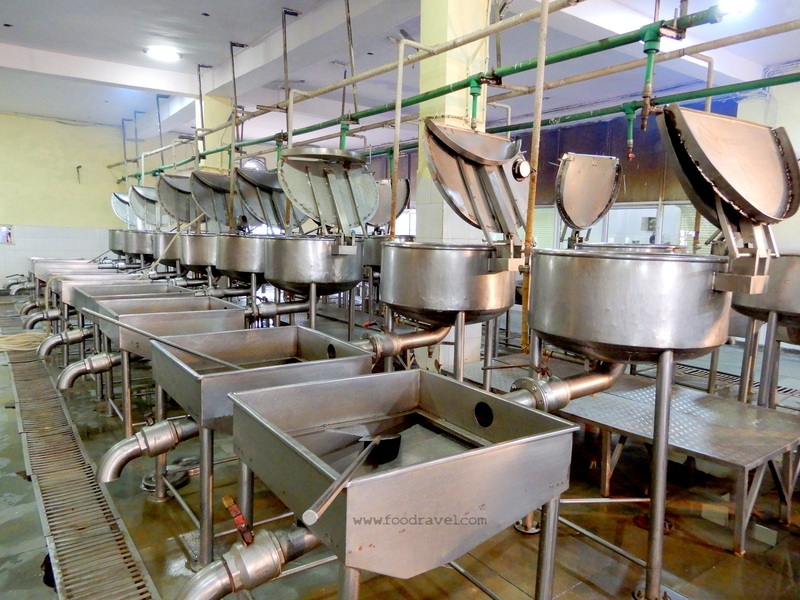 The production at the kitchen starts at around 5AM and food for thousands of students starts to be cooked in the large sized cookers and utensils. 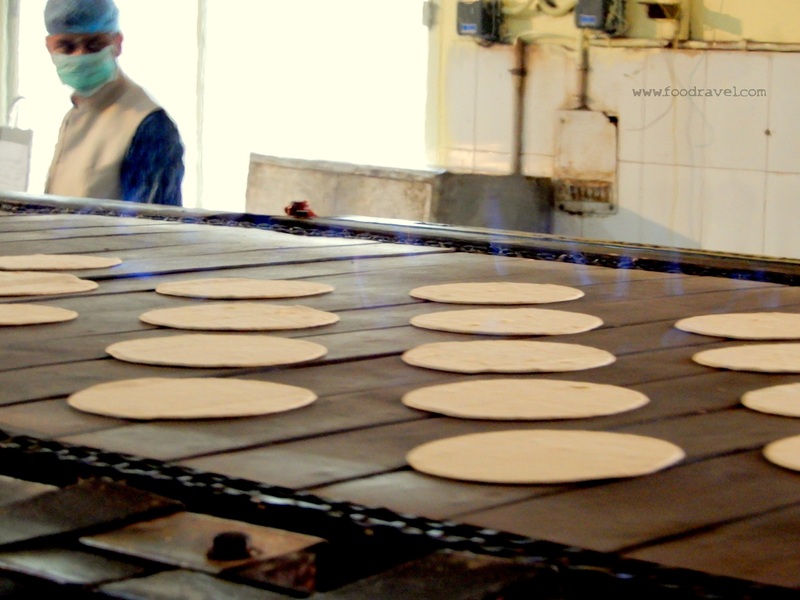 The menu changes every day and the organization ensures every possible requirements of nutrition in the food. 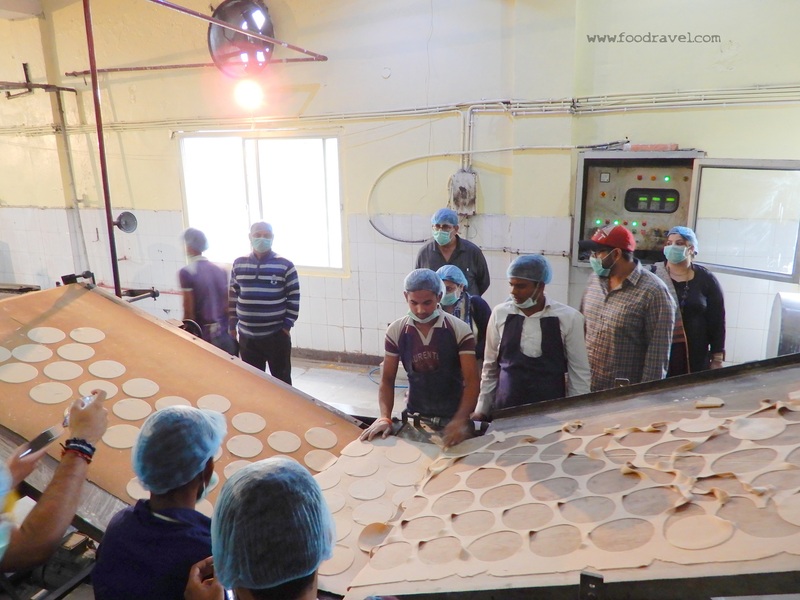 Cooking food on such a large scale everyday is really a big project and every project needs guidance with experience and knowledge. The entire food production process is led by ABC, who herself is a food critique, a pro baker and a food enthusiast. How must food can be cooked in the kitchen in one go? 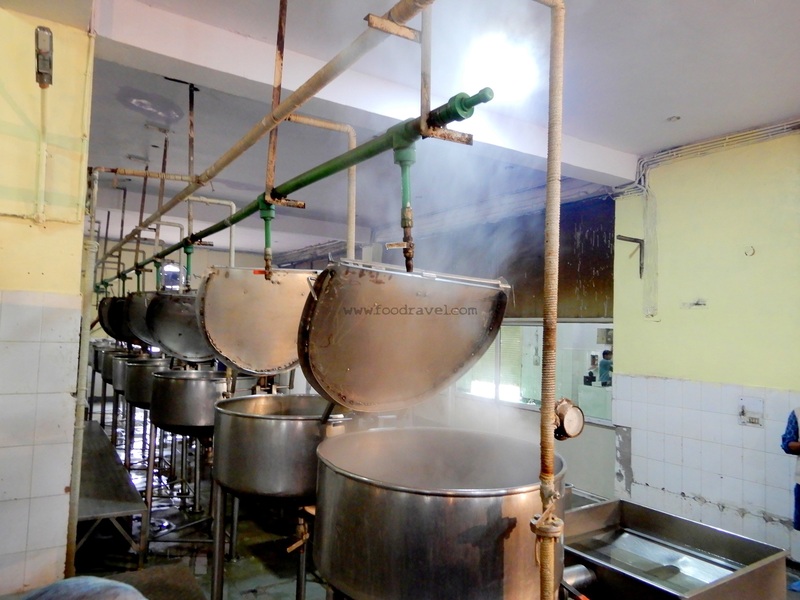 Our kitchen has the capacity to feed 1 Lac students per day in 1 shift but presently we are feeding 60 thousand students per day in one go. What is the total area of the kitchen? The total area of the kitchen is 1.5 acre. Tell about the number of storehouses and their storage capacity. 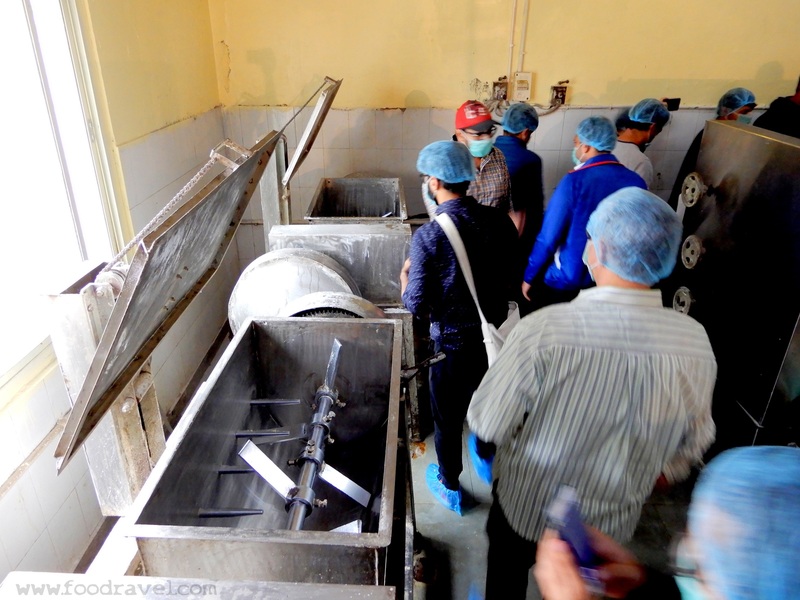 We have 5 storehouses in our kitchen to store raw materials and other items with a total storage capacity of 25 tons. How many workers/cooks/helpers are working there? The number of workers, cookers, drivers and ladies helpers are around 120 at present. Tell us about the operation hours of the kitchen. The operation hours of the kitchen are 5AM to 8AM. 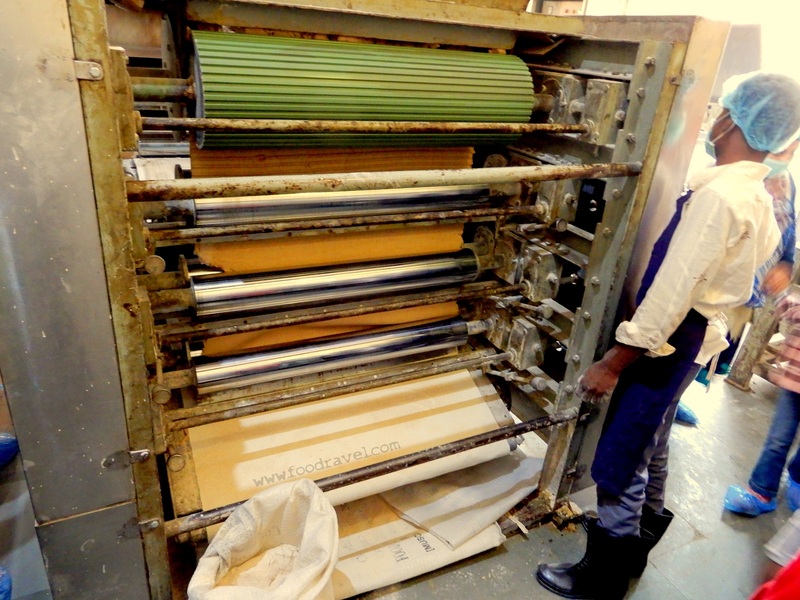 How do you dispose off the waste materials (biodegradable/non – biodegradable)? What measurements are taken? It is a green initiative taken by us for Bio Gas project for all out kitchen waste. Also other scrap including tin, sacks, plastic etc. are disposed off on weekly basis and as per the need on daily basis too. 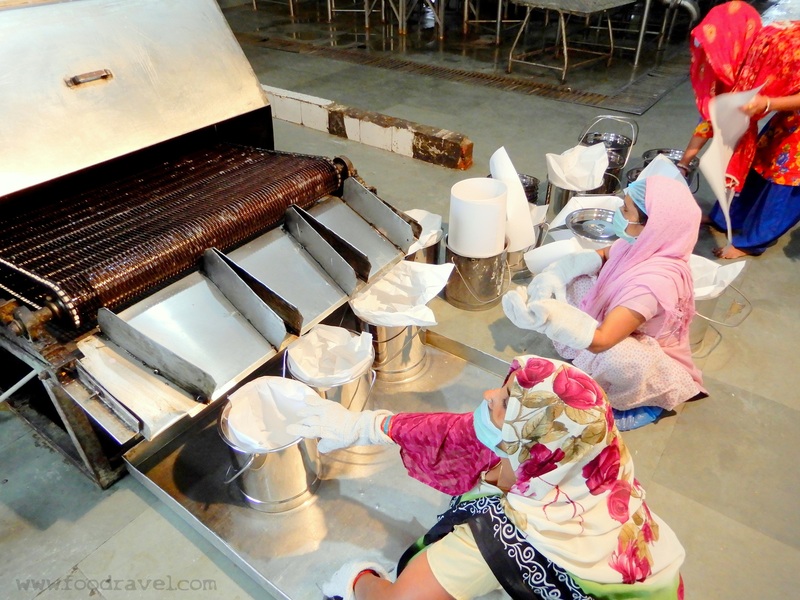 What are the machineries/equipments used in the kitchen in the process of cooking? 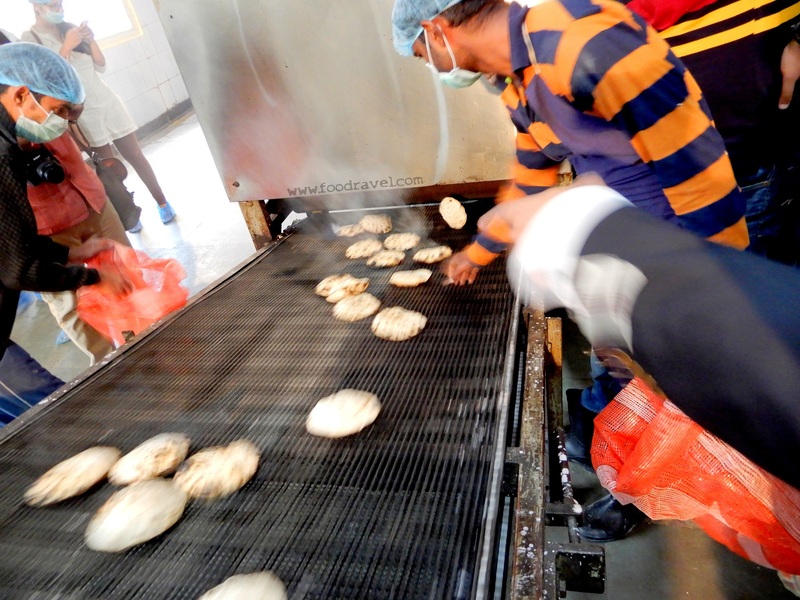 We have 16 cookers with 270 ltr capacity, a chapati machine which can make 15000 chapati per hour, 2 no. 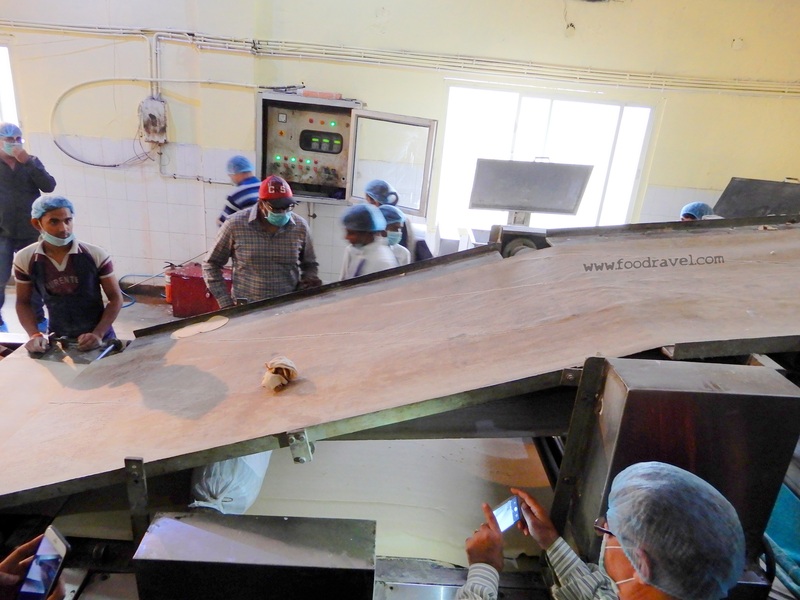 600KG thermax boilers, flour mills, daliya roasting machines, potato peeler machines, potato cutting machine, pulverizer, vegetable cutting machine, other special purposes machines designed to meet our needs etc. 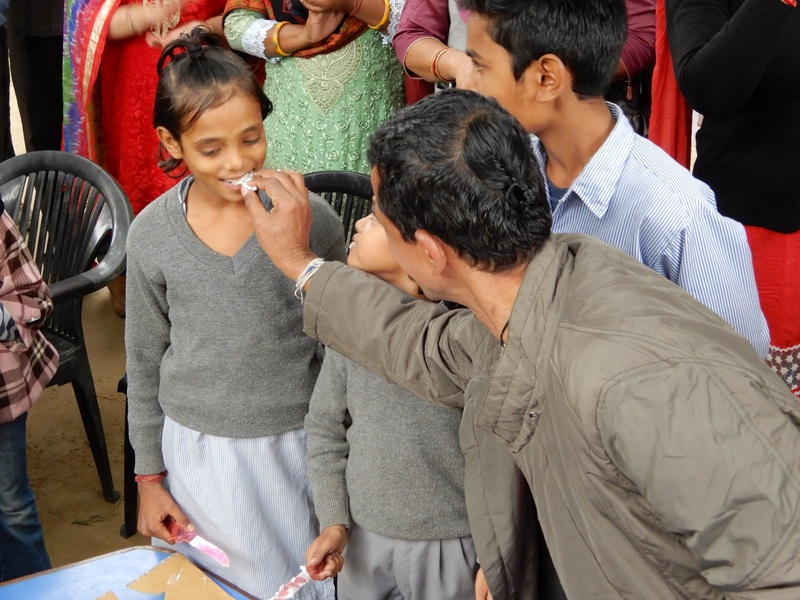 How do you ensure the nutrition in the food to be given to the students? (Calorie count per meal per student). 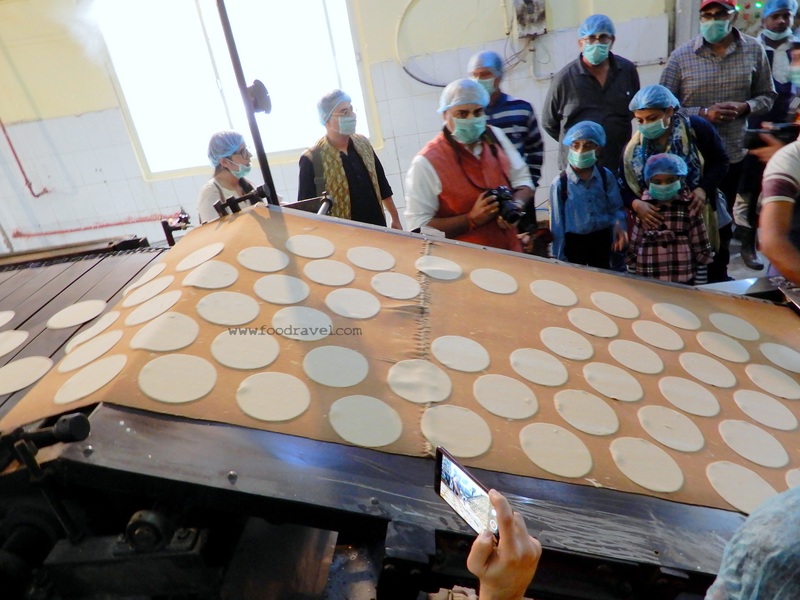 Our food prepared is being tested on regular basis from State Government approved labs and we ensure proper calories and protein count as per the State Government health norms, duly ordered by Supreme Court of India. 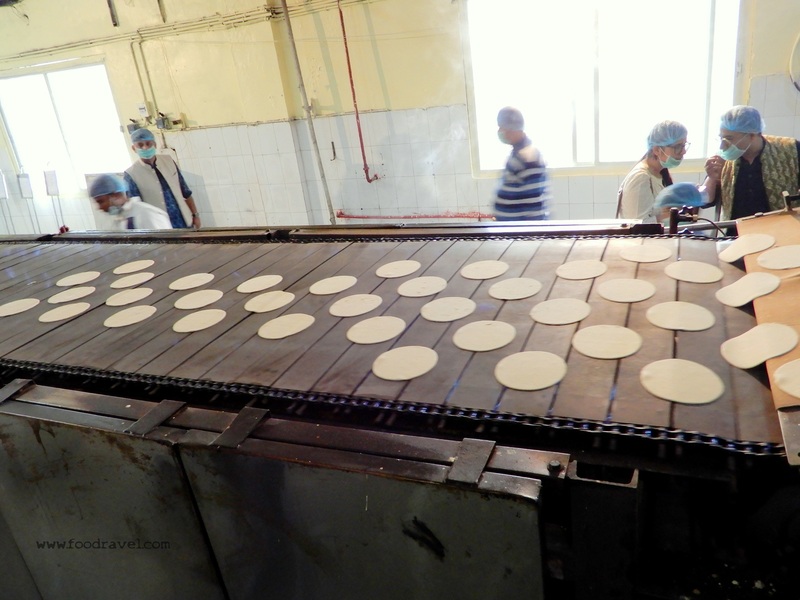 What precautions/measurements are taken to avoid food contamination/wastage? 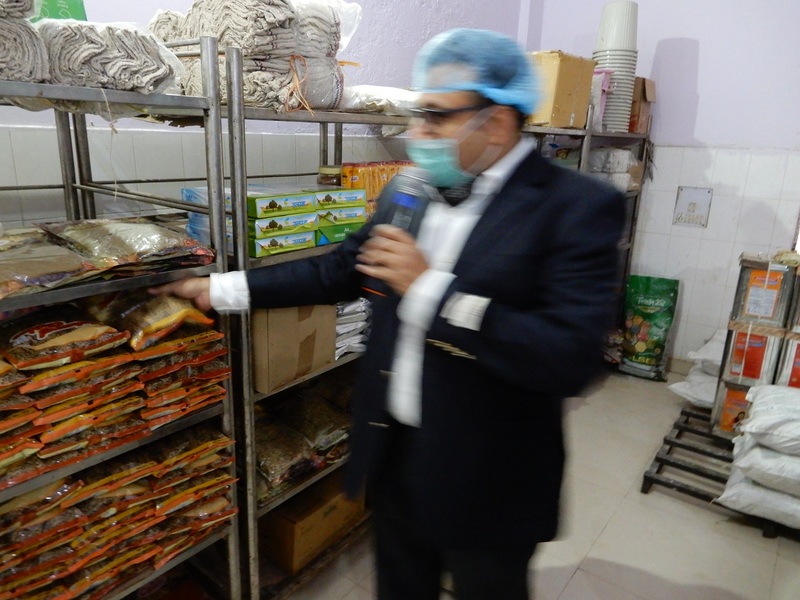 We have designed SOP (Standard Operating Procedures) to ensure that wastage is minimum and the best Pest Control Service of India (PCI) is being hired for the same purposes. 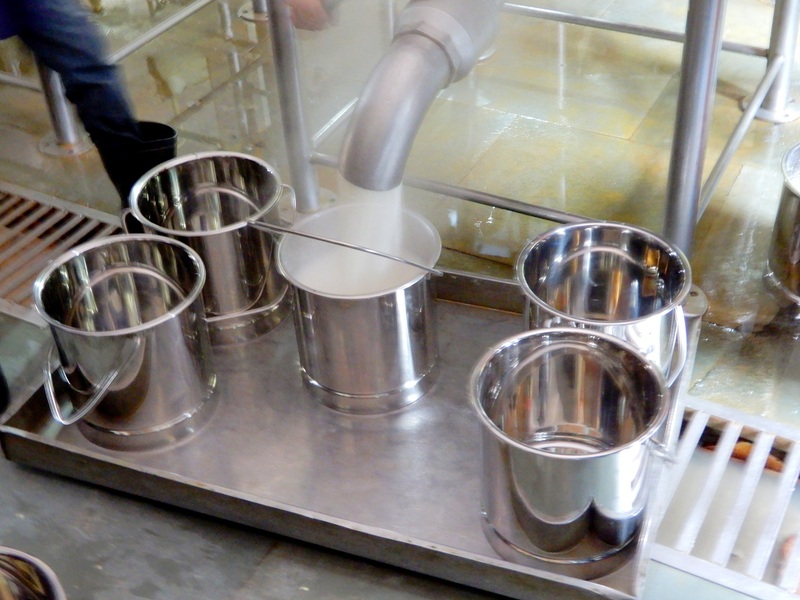 All the recipes are controlled by process sheets, variance analysis, work instructions and our own continuous improvement tools. How do you manage funds? Ministry of Commerce states that Mid Day Meal is a CSR project and therefore we manage through CSR (Corporate Social Responsibility) donations. Our future aim is to provide food to as many children as possible and make Haryana A Hunger Free State with our ZEROHUNGERHARYANA initiative. 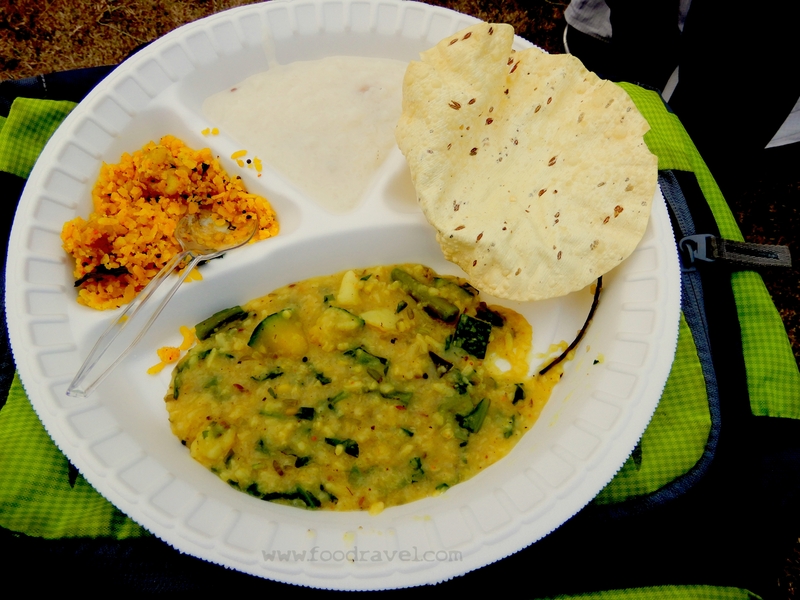 The food was prepared and then we were taken to a nearby school as per the schedule. We took a walk from the kitchen to the village and reached in some time. The students were gathered in the assembly ground. 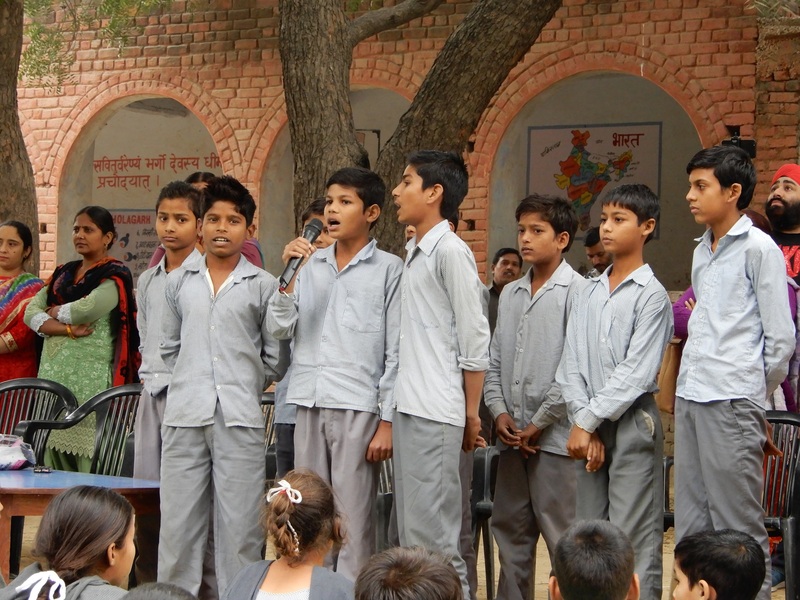 At first, the students welcomed us by reciting welcome song and some other performances. 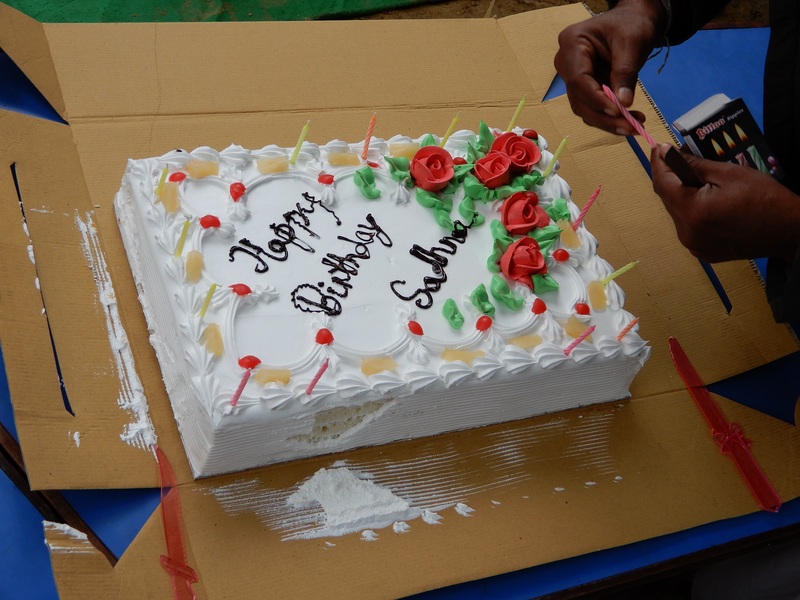 Later on, everyone celebrated the birthday of two students. A big birthday cake was already arranged. After all the students were gifted lunch boxes by ISKCON Food Relief Foundation Palwal. 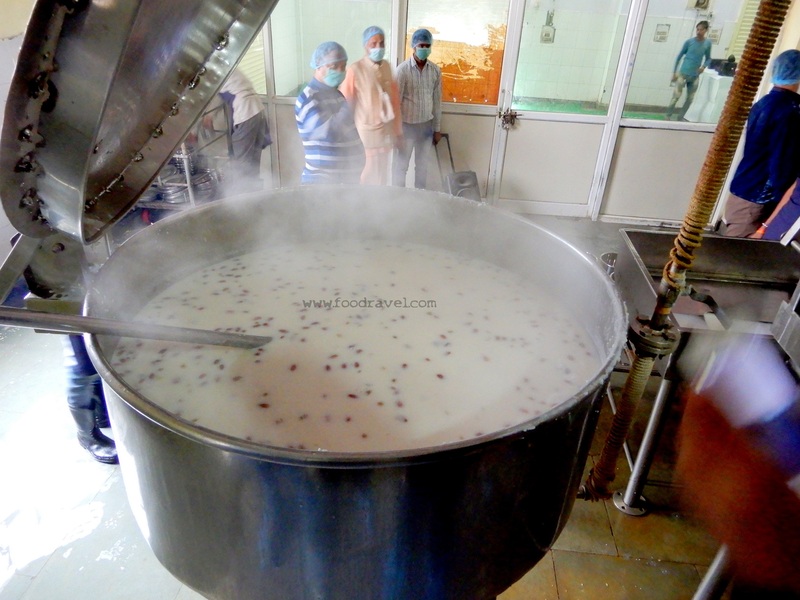 The kitchen had prepared Kheer for the students and was served in the assembly.